Mayor Pete Buttigieg was unknown a few months ago. However, that has all changed, and early popularity polls show he is in the top three most popular contenders for the 2020 Democratic nominee for President. 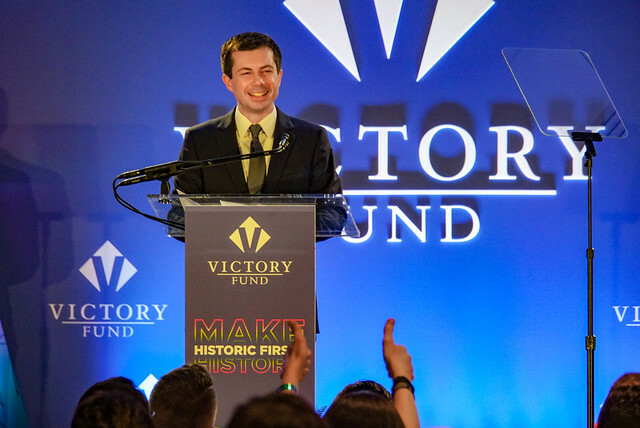 Buttigieg announced officially he was running for President on April 14, 2019. Since then he has gotten support from many celebrities who have started to donate his Presidential campaign. According to the filings with the 2019 Federal Election Commission show many donations since his announcement. Jane Lynch from the television show “Glee” donated $2700. Singer Mandy Moore donated $2000. Bradley Whitford from “The West Wing” donated $2000. Actor Ryan Reynolds gave $250. Caroline Kennedy gave three donations from the daughter Jackie Kennedy Onassis and President John F. Kennedy for $250. Buttigieg being openly gay has gained the support of the LGBT community. Chaz Bono made three separate donations which totaled $650 to the campaign, according to Federal Election Commission (FEC) filings. The son of Rupert Murdoch, the conservative media mogul James Murdoch, donated the maximum an individual can give to a political campaign $2800. National security advisor and U.S. ambassador to the United States under President Obama, Susan Rice, donated $1000.